THERE’S GOOD NEWS and bad news weather-wise today. The bad news is that after freezing temperatures last night, it’s still very cold out there. The good news is that it’s due to get (very, very slightly) warmer later today – so there’s still hope for anyone hoping to get some Christmas shopping or socialising done. 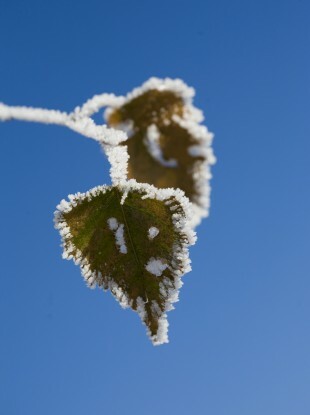 Met Éireann says that last night was bitterly cold with a widespread frost, as temperatures fell to as low as minus 3 degrees. Much of the country woke up this morning to frost and icy patches – but these should be clearing up by now. Today could meet the balmy heights of between 4 and 9 degrees. There’s due to be rain later this afternoon, but it should be bright – and possibly even vaguely sunny. Met Éireann has warned that there could be hail, sleet or even snow showers in the north and western parts of the country tomorrow. Paddy Power is offering odds of 4/1 that Dublin will have a white Christmas Day for the second year in a row. Email “Brrrr: It's cold out there today”. Feedback on “Brrrr: It's cold out there today”.